Every year at about the second week of April winter begins to change into summer. When this happens we call it a ¨Transition period¨. Those involved in the fishing business (Captains, Crews, etc.) know and understand that this is essentially the worst time of year to go fishing. First and foremost is the fact that the local species are just full of eggs keeping their interest anywhere except in taking your bait. Then there´s the annual change of currents as they flip directions now moving south to north. As warm water moves in the sun hangs longer daily in the Tropical Skies of Puerto Vallarta. This churned, swirling water conditions can result in brown, coffee colored water as the sediment on the sea floor inside the bay gets churned up. Typically all at the same time, we have warm currents, cold currents and fish that are not interested in your trolled baits. That´s the bad news, the good news is; that will shortly be behind us. May brings stability, dominant summer currents and of course world class species, Sailfish being the first to arrive in thin numbers. For the last month, I´ve done my best to make this sound as positive as I possibly can and still keep the truth factor firmly in place. Having said all that, some of the best news this week was the fact that Sardines, which have been in, then out, are in again. Water temperatures are still moderate and on the cool side, but inching their way up to 75 degrees or so on average. Not exactly blue water, but the clear green water we have, getting clearer everyday, is not hindering the fish. Blue water is preferable, green works. Now you may be asking yourself ¨Where¨ is it getting better? One place, the best place, is still off the point of Punta Mita. To be exact, the area around Sayulita and a bit north are just exploding with Rooster fish in the 35 to 60 lb range, Pompano running 45 lbs, Snapper are also taking trolled baits and are running the same general size of 15 to 30 lbs. Sailfish are in the area, but sparse. Dorado, forget about them for now. Eight hour trips are mandatory if you’re looking for any sizeable fish to put on the table. Sorry, that´s just the way it is. Forget about the deep water locations of El Banco and Corbeteña, same issues, cold water, no fish. Don´t waste your money heading out to these distant locations until you hear word of any action first. 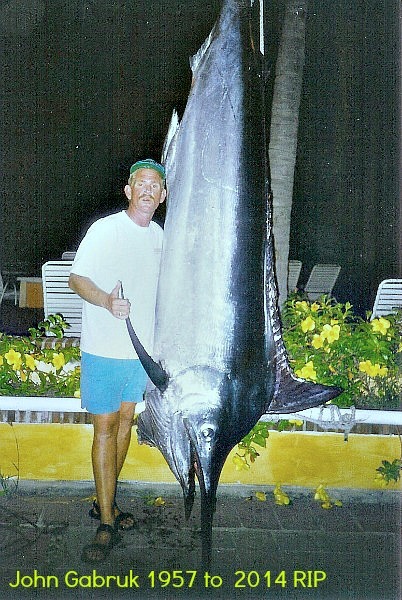 For the guys looking for sizeable Trophy Game fish, then you´ll need to bite the bullet when it comes to the fuel budget. Not to mention the sheer time it will take to get there and back on a slow boat conserving fuel so you can actually make it back under power, a biggie for sure. Yellowfin Tuna are about the only players at the Tres Maria Islands, so don´t go expecting anything other than Yellowfin Tuna. The Tres Maria Islands are a fishery, so I have a real issue with those fishing in this area, legal buffer zone or not. Once they fish out the fisheries, like the Seiners are doing now, then we can fold up the fishing industry and sell T-Shirts to tourist… wait, I already do that! Those looking at short day fishing will still find fun action in the bay with Jack Crevalls, Bonito, Skip Jack Tuna, smaller snappers to 20 lbs max and more Sierra Mackerals than you can count. For younglings or those looking for some fun on the bay with a limited budget, then a super panga on the bay for four to six hours will do you nicely. For now the fishing could be better, but it´s not bad. For now the latest fishing information for the locals or visiting tourist is key. You need to know when the bite is, mid morning by the way, what the water temperatures are and where the ¨hot¨ spots are. I started to put updates out to my Facebook friends. If you would like to receive my weekly updates, normally about two a week if things change, then send me an email and I´ll put you on my contact list. I will also start a video fishing report shortly, I have done one already, but I´m as exciting as watching paint dry, so we´re working on that as well. So if you want to be informed of the latest and greatest, especially if you have local clients like the travel agents I work with, then this is a free service that is invaluable when you need it. My contact information is at the bottom of this article… Looking forward to seeing your responses and questions amigos….. Compared to what the fishing was like last week, we´ve improved. Not greatly, but we´ll take it an inch at a time if we have to. Fish are still in a transition period between summer and winter where breeding in spring takes precedence over feeding. Which of course means it can be frustrating when you see the fish, you know they´re there, but they just won´t pay a speck of attention to your trolled master piece (bait). Along with the change in seasons come water temperature swings. The summer currents don´t just take over, they mix in with winter currents and this creates a swirling affect which can make experienced captains pull their hair out. This is where even cheap electronics will tell you the water you´re in is either warmer or cold. When you can´t see or find fish, trolling in the warm streaks and currents greatly improve your chances. Cheap boats, no equipment, no fish, it´s that easy. This is nothing new, having an experienced captain with a full bag of tricks (lures and baits) as well as a radio and electronics to me are basics clients should not have to ask about or for. Better boats will already have them in an effort to win your future business. Fly by the seat of their pants type boats and owners will find fish, but it´s luck so keep this in mind, it will ultimately help your cause. On the positive side water temperature are up slightly, clear green water conditions are still present, not a bad thing. Bait has started to return, especially near the point of Punta Mita in the form of Sardines. 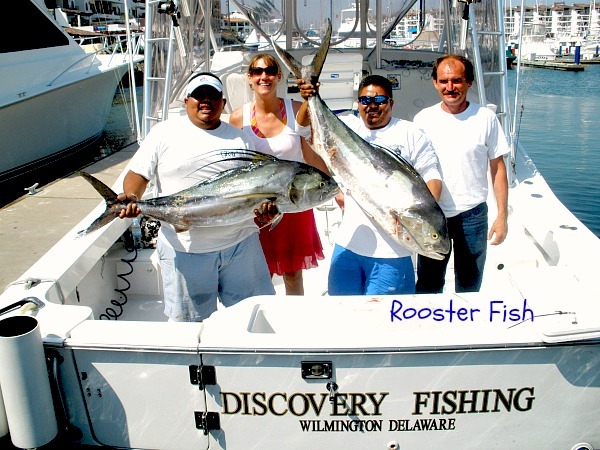 Rooster fish are still chasing these Sardines so you´ll find Roosters near the reef of Anclote off Sayulita. With the chilled waters, Dorado have not shown any signs, but Snappers to 35 lbs are coming up and taking trolled baits. 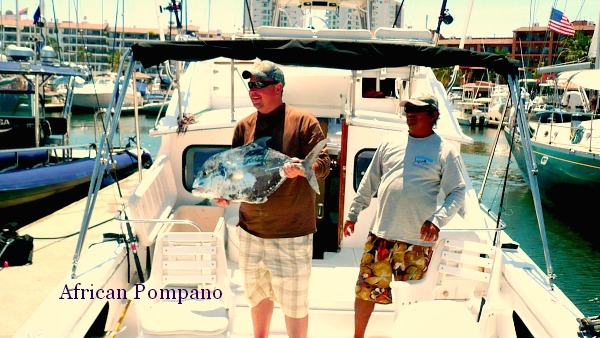 Pompano in the 45 lb range and of course Rooster fish over 35 lbs are not exactly abundant, but they are around. For now, no Sailfish, but this will change soo, Sailfish normally move into the area around late April to mid May. The Marietta Islands are still seeing sketchy fishing. Some days plenty of fish, other days will make you pull your hair out. Mackerals of the Sierra variety, Bonito, Skip Jack Tuna, Snappers in the 35 lb range coming to the surface, Amber Jacks in the 40 lb range, Rooster fish if Sardines are in the area and of course Jack Crevalls, the standard day saver fish. All and all, nothing too spectacular, but for the visiting angler it´s the place to be to catch fish. 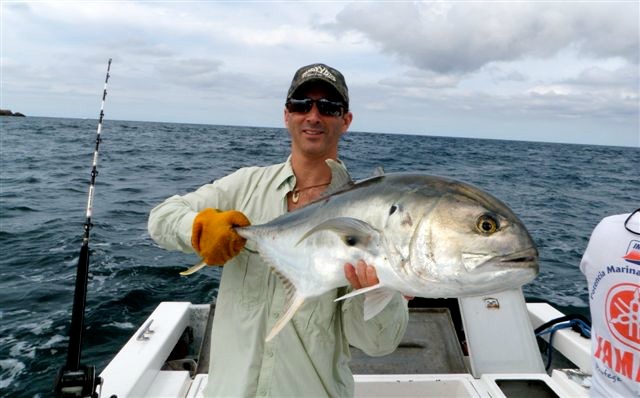 Those of you interested in off season fishing for Yellowfin Tuna can find satisfaction at the Tres Maria Islands. Again, these are protected fisheries, breeding grounds that surround a prison island that holds hardened criminals here in Mexico. As long as you stay outside of the restricted area, many call this the ¨buffer zone¨, you won´t have problems with the Federalies or other local authorities. Inside, well you´ll be chased like all the other guys ¨cheating¨ the boundaries. Yellowfin Tuna are running anywhere from 125 to 275 lbs right now. Bait swarming around the rocky areas makes this heaven for Yellowfin Tuna. It´s a long haul and an overnight trip is what makes the most sense, double the opportunities for double the price. The travel time is what kills you so get up with the bite and hook into a finned fantasy. Again, respect the boundaries and You´ll have fun. Inside the bay is still on the short side. Skip Jack Tuna, Bonito, Jack Crevalls, Sierra Mackeral and that is about it. Naturally you´ll find all kinds of species around structure and a skilled captain with experience will always have his own secret spots. With the full moon phase out of the way, you´ll remember the red moon, the bite is inching it´s way to mid morning. My suggestion is leave Marina Vallarta at or about 7:00 a.m. and you´ll be right on time. As far as bait goes, most of the natural bait has moved out of the bay for the moment, but again as stated earlier Sardines are coming back slowly so I expect things to pick up nicely by the time you read this article. Water temperatures are still chilly, but the sun is higher in the sky daily as summer gets closer by the day. So don´t be discouraged, you´ll catch fish, but it´s going to be work amigo. For now your best bet is still in the Punta Mita / Marietta Island areas until the deep water locations of El Banco and Corbeteña begin firing again. That right there is pretty much your fishing report. One thing I can say, when you read this article it will have already changed for the better. For now these breeding fish still have Love / Amor on the brain. Some areas have yellow eggs, which look like dark mustard floating on the water surface. Jelly fish have exploded and are breeding in the Yelapa down to Los Arcos area. The good news is Jack Crevalls are still in the area and will take bait if it can see it. In the clear swirls, you´ll find Skip Jack Tuna, Sierra Mackerals, and Snapper in the 10 to 25 lb range. Bonito of course. No advice this week on lure color or choice, so get creative. I suggest purple combinations. The Marietta Islands are a little better than the bay, but the cold water conditions are here as well. Rooster Fish which have been chasing small sardines have moved out for the moment, they´ll be back. Pompano in the 35 lb range, Sierra Mackerals, Bonito running 40 lbs, Jack Crevalls, Amber Jack 25 to 50 lbs, and the list goes on. Don´t get too excited, the fishing is still challenging, finding a warm streak, with clear green water would be your best bet for the moment. The bite is getting earlier each day as we enter the full moon period of the month. The Deep Water Locations are void of fish as well. 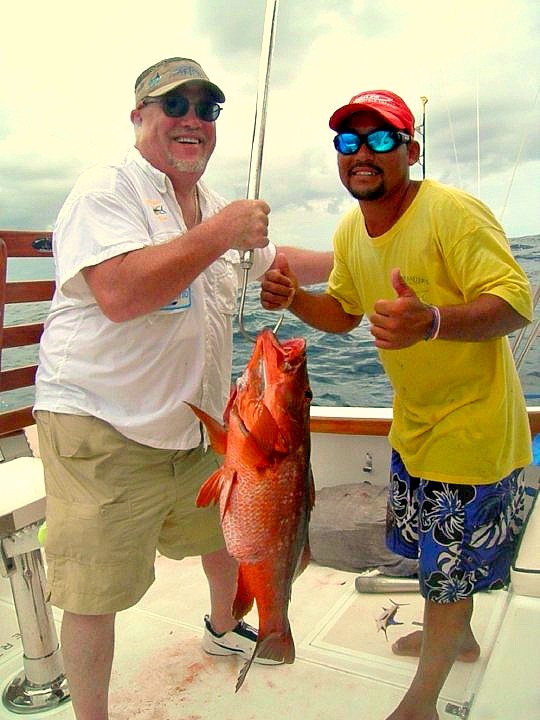 Yes you´ll always find Cubera Snappers at 50 lbs, Amber Jacks, Rainbow Runners, Jack Crevalls and others. For now your fuel dollar would be better spent pointing the boat in a different Direction. UpDate 4/15/2014: The brown, coffee colored water has already dissipated and now we´re seeing clear green water. Not the perfect conditions we are used to, but still good conditions for fishing have come back. Jack Crevalls are leading the pack in taking bait. Still not much bait in the area, but the water temps are inching their way up. So the negative side is a little less negative. For now the only real, professional and serious action is happening at the Tres Maria Islands, commonly known as the prison islands. For the casual fisherman, the distance is enough to shut you down. For those looking in the off season for Monster Yellowfin Tuna, then this is the only place you´ll be interested in. Running 150 to well over 250 lbs your fuel dollars will be well spent. Now how many dollars that will be depends on how fast you want to get there. 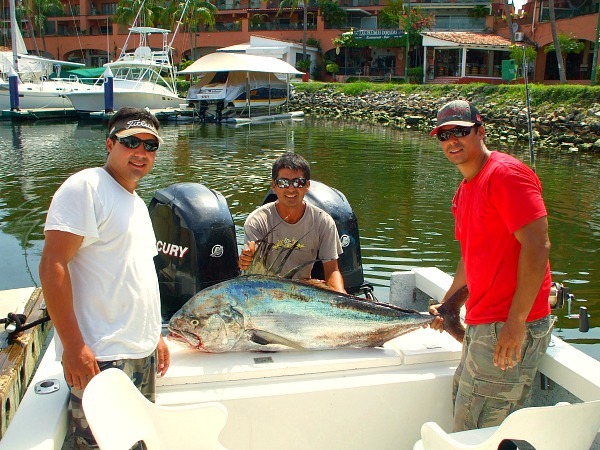 At better than a hundred miles out of Marina Vallarta, those needed dollars will be substantial. Be warned, the Federalies are out chasing those inside the legal ¨buffer¨ zone as some call it. It´s a boundary basically, those fishing inside this boundary will find themselves facing situations they would rather not face. Be smart, have fun, catch fish and stay the Heck out of Jail. This past week my brother John Gabruk passed away suddenly in Jamaica. 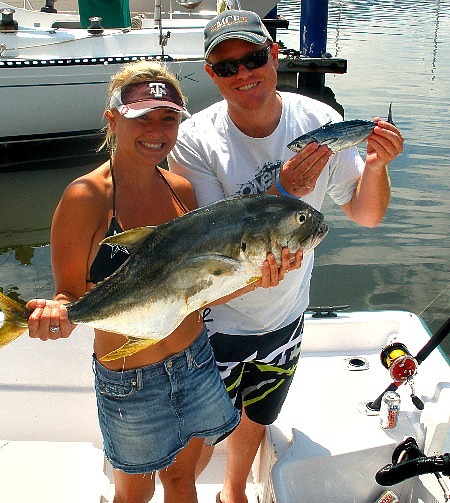 John and his wife Tonya started Master Baiter´s in 2000 and became an undeniable force in the fishing industry. Master Baiter´s boats won the 2000 and 2001 WBS Billfishing Series world championships and from that time on John was a respected source of information and humor. John will be missed by many of us in Puerto Vallarta, the Captains, the Clients and the local business owners all knew and respected his humor and Abilities. John was happiest when he was fishing and I am sure he is trolling right now in Heavenly Skies with Heavenly blue seas and a never ending bite. John was my only brother and in the end a little part of Master Baiters went with him. Rest in peach John. Erratic Water Temps, Mega Bait vs Breeding Season! Spring has sprung and love is in the air, or rather water where fishing is concerned. Conditions are challenging with swirling currents, rapidly changing water temperatures and an over abundance of bait. The Seasoned Captains with electronics have the edge with water temperatures fluctuating from 69 degrees to 74 degrees with the warmer water being the better the fishing. This may all sound strange, but for the locals we know what spring means. The fishing is actually fairly good, but again, it´s gonna be work amigo. Short day fishing in the bay is still alive and well with Jack Crevalls in the 30 top 50 lb range and frankly will be found all over the area. Snappers are running 10 to 20 lbs in the area and are taking trolled spinners or Sardines or silver spoon type rigs, larger than smaller. 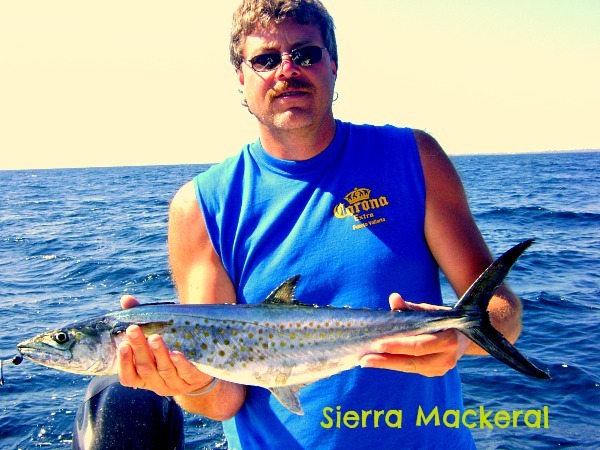 Sierra Mackerals, Skip Jack Tuna and Bonito and a host of others are all possible near the structure. Great fishing for those on a budget or those with kids, you´ll have fun. The Marietta Islands is / are still running hot and cold, literally with the swirling currents and fickle fish. With breeding season in full swing it´s difficult at times to get these abundant and fickle fish to look at your baits. The warm areas are naturally working better than the chilled streaks, but Jack Crevalls don´t care much about cold and will most likely be in the cooler swirls. Rooster fish are abundant in the 35 to 60 lb range and like the rest of them will ignore your baits one day, then attack anything shinny the next. It all comes down to the bite. So when is the bite you may ask? The bite changes a little daily, so you have to stay on top of this crucial piece of observed information you can only get by being on the water. Right now we´re looking at a mid morning bite and a mid afternoon bite. Sleep in a little, the fish are on a schedule right now. Dorado are in and out. Red Snappers in the 30 lb range are taking baits nicely, Pompano in the 30 lb range, Amber Jacks, Skip Jacks and the list goes on. Again, hit the bite and have varied baits at the ready, they´re all fickle! At the Punta Mita point, things have changed as well. 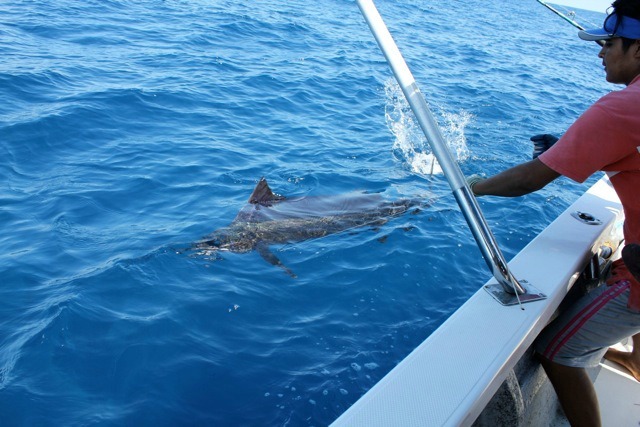 Sailfish and the Marlin have thinned out and are almost impossible to find with the chilled water conditions. 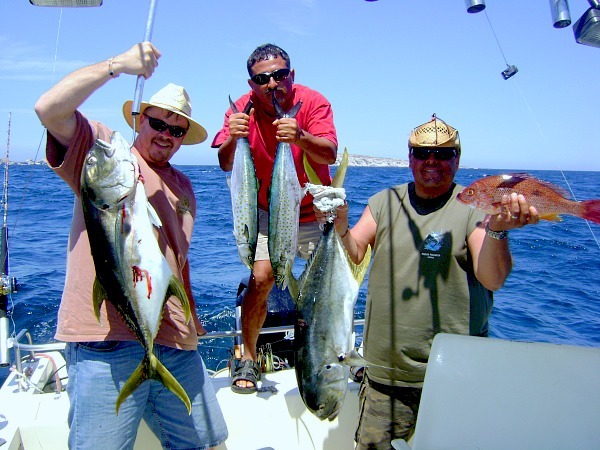 North of Punta Mita, north of San Pancho you have a shot at Sailfish and Dorado in the warm currents sliding down from Mazatlan. Other than that, not much reason to head to the point. Those looking for trophy Yellowfin Tuna can find them at the Tres Maria Islands. For the record the islands are a restricted area where a prison is located. It´s also a fishery, which means it´s a breeding area for Yellowfin Tuna. The restricted are ranges from twelve to fifteen miles. This means fishing inside this area is illegal and has legal ramifications. Lately there have been more and more federal agents checking to make sure you respect the boundaries. Having said that 200 lb and larger Yellowfin Tuna are being boated daily and have taking bait with no spring spawning issues. FYI, there are at least five more longer range boats setting up business to head to these prison islands and soon there will be more and more anglers fishing our fisheries. With the Seiners on top of that, it´s just a matter of time now before the Yellowfin Tuna numbers are in the dumper. For what seems so obvious is lost on those raking in the money. It´s a hundred miles one way amigo, if you´re a fanatic, then you´ll be happy to pay in both time and money. The good and the bad of it all is we´re in a transition period from winter to summer, with spring being just a road bump in between. Water currents will be changing and we may see some dirty water from the bottom sediments being stirred up with the changing currents. We will be looking at the seasonal changes in the next few weeks as we lead into summer fishing. We expect warm water conditions to return shortly and of course the warm water species of Marlin, Sailfish, Yellowfin Tuna and Dorado. So be patient and at the ready. When things get moving again the fishing will be outstanding, which can be any day. 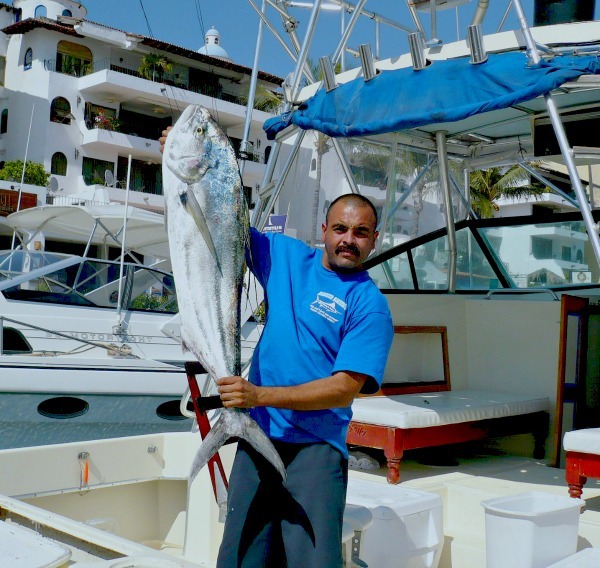 Master Baiter´s has changed locations in Marina Vallarta between docks A and B on the boardwalk. Email your Questions to me at: CatchFish@MasterBaiters.com.mx Web page: http://www.MasterBaiters.com.mx , Local Phone at: (044) 322 779 75 71 or if roaming: 011 52 1 322 779 75 71 cell phone direct Facebook: http://www.facebook.com/pages/Master-Baiters-Sportfishing-Tackle/88817121325The trade name Master Baiter’s ® Sportfishing and Tackle is protected under trade mark law and is the sole property of StanGabruk.